CDA Blog > SV310 Sensor Touch oven wins Designer Award! 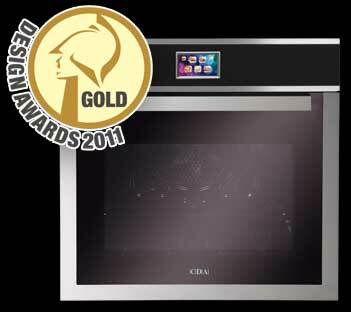 Widely praised for its innovative Sensor Touch cooking system, CDA’s SV310 Sensor Touch multifunction oven has been recognised with a Gold Award in the Product Innovation sector of the 2011 Design Awards. Click on the title for more information. The Design Awards have been running since 2002 and are seen as a benchmark of excellence within the kitchen industry. Gold is the highest classification in the Product Innovation Award category and is only given to products recognised as being real innovators in their sector and that bring something genuinely new to the market. The SV310 has an innovative touch screen with icons to access cooking functions, putting CDA well ahead of the market. The oven was particularly acknowledged for offering advanced technology that is easy to use and has been brought to market at a very accessible price point. The oven retails at around £560. CDA appliances star on BBC1 DIY SOS!